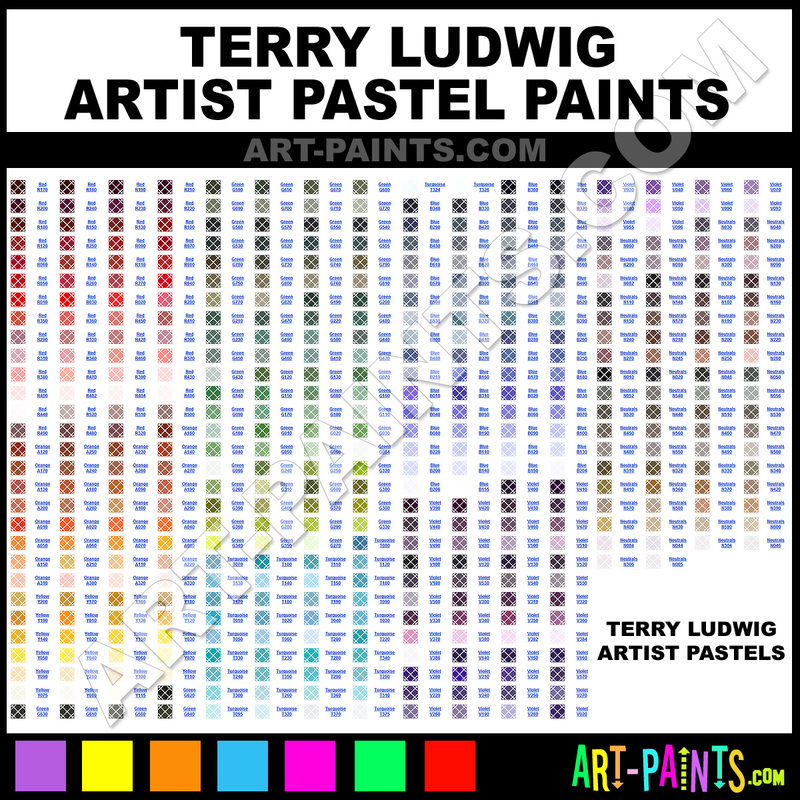 Terry Ludwig makes beautiful Pastel Paint brands. With a complete line of Artist, Basic Landscape, Cool Greens, Essential Grays, Green Pastels, Intense Darks, Intense Darks I, Intense Darks II, Maggie Basic Values, Neutral Greens, Plein Air Landscape, Portrait Pastels, Southeast Landscape, Southwest Canyons, Sunset, True Lights, Ultramarine Blues, Warm Greens and Arid Landscape Pastel Lines, and 1204 colors in all, available in just about every hue and color, they will no doubt keep you painting and smiling at the same time. Each Brand is unique and the variety of paints is exquisite!